It is wedding season and I have the perfect gift for you to give the bride to be. 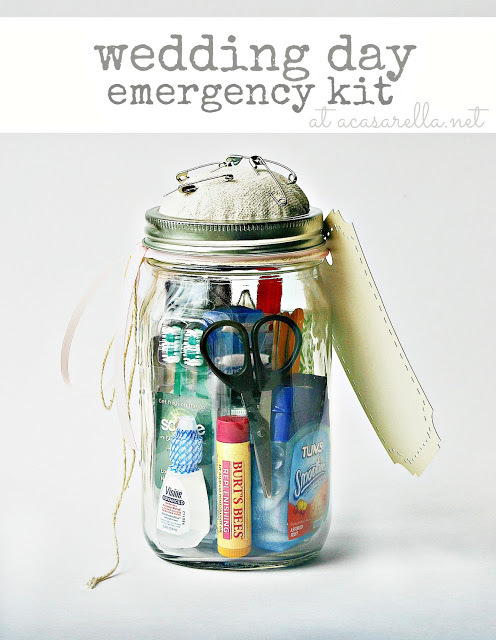 A wedding day emergency kit in a jar. Add bobby pins, tissues, plus so much more into a jar for a wonderful, useful, one of a kind gift. Get the full list of what to include plus full instructions over at 'A Casarella. Please visit the original source to pin this item.